THE COMPANION: Saudah Bint E Zamaa’a RA - The Obedience Mother of the believers. 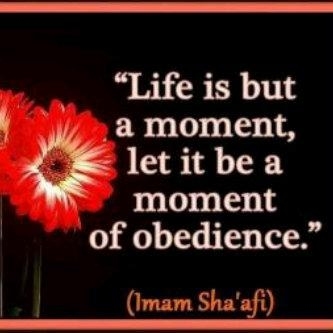 Saudah Bint E Zamaa’a RA - The Obedience Mother of the believers. 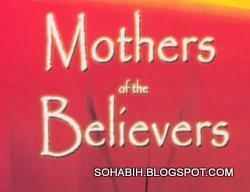 Saudah bint Zamaa'a RA - Mother of the believers. After the demised of Saidatuna Khadijah bint Khuwailid RA and Abu Talib the uncle of Rasulullah SAW, the life of Rasulullah SAW had become disturbed. The wounds of separation from two most dear ones were ever green. The defense walls of the interior and the exterior had crumbled down. Neither society, nor home was any longer providing companionship. Rasulullah SAW was left alone in a hostile atmosphere. In these days, Khaula bint Hakim RA wife of Othman b. Mazoon, visited Rasulullah SAW and found him dejected and depressed. Rasulullah SAW married Saudah RA Bint E Zamaa’a in Ramadan in the tenth year after his Prophethood (i.e., in April/May 620), a few days after the death of Khadijah RA. According to Ibn Sa’d Saudah RA Bint E Zamaa’a died in the year 54 after Hijrah, if she lived to become an octogenarian she must have married Rasulullah SAW at the age of 27. If she reached the age of 90 then she could not have been older than 37 when she married the prophet who was 50 years old at that time. Saudah RA Bint E Zamaa’a (Arabic: سودة بنت زمعة‎) was a wife of Rasulullah SAW, and considered by Muslims to be a Mother of the Believers. Her father, Zamaa’a ibn Qays, was from the Amir ibn Luayy clan of the Quraish tribe in Makkah. Her mother, Al-Shamus bint Qays, was from the Najjar clan of the Khazraj tribe in Madinah. Saudah RA Bint E Zamaa’a and As-Sakran immigrated to Abyssinia at the order of Muhammad. As-Sakran left Abyssinia by sea with Waqqas. They returned to Makkah, where As-Sakran died. She married As-Sakran ibn Amr. They had one son, Abdur Rahman ibn Sakran, who was killed in the Battle of Jalula in 637 AD. Saudah Bint E Zamaa’a RA went to live in Rasulullah SAW’s house and immediately took over the care of his daughters and household, while Aisha bint Abu Bakr became betrothed to him and remained in her father's house. There was great surprise in Makkah that Muhammad would choose to marry a widow who was neither young nor beautiful. Rasulullah SAW, however, remembered the trials she had undergone when Saudah RA Bint E Zamaa’a had immigrated to Abyssinia, leaving her house and property, and crossed the desert and then the sea for an unknown land out of the desire to preserve her Deen. 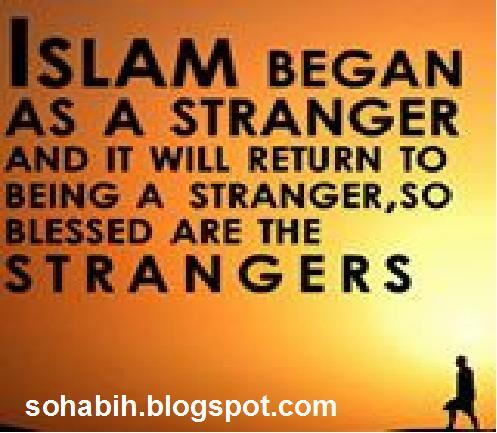 It was after the Hijrah that the first community of Muslims rapidly grew and flowered and bore fruit. When Saudah RA Bint E Zamaa’a was older, Rasulullah SAW was worried that Saudah RA Bint E Zamaa’a might be upset about having to compete with so many younger wives, and offered to divorce her. Saudah RA Bint E Zamaa’a said that she would give her night to Aisha, of whom she was very fond, because she only wanted to be his wife on the Day of Rising. “O Rasulullah SAW, I see you are quite withdrawn and sad after the death of Khadijah”, Khaula asked. “Yes it is like that”, Rasulullah SAW said. “Then, why do you not marry again? I can arrange for that”, Khaula binti Hakim RA said. She indicated that Saudah RA bint E Zamaa’a hand can be asked. Rasulullah SAW agreed. Then Khaula passed this good news to Saudah RA bint E Zamaa’a as well. Saudah RA bint E Zamaa’a too agreed to the proposal and said, “Please enquire from my father about his views in the matter”. Zamaa’a had no objection to the match. Eventually Saudah RA bint E Zamaa’a became the first woman to be married to Rasulullah SAW after the demise of his first wife Saidatuna Khadijah RA bint Khuwailid. Like Saidatuna Khadijah RA bint Khuwailid, Saidatuna Saudah binti E Zamaa’a was also a widow as she had first married her cousin Sukran son of Amr. At the beginning of Islam, Saudah RA bint E Zamaa’a and Sukran used to live in Makkah. As a result of announcement of his Prophethood the whole of Quraish and Makkan turned against him. 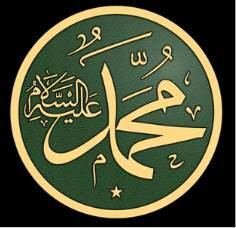 All sorts of enmity against Rasulullah SAW and the Muslims became the order of the day. Muslims became an easy target for non-believers, because Muslims, economically, belonged to the lower strata of the society. 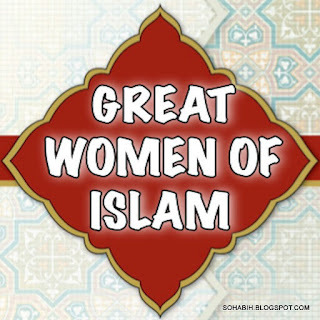 Saidatuna Saudah binti E Zamaa’a although an ordinary woman, was intelligent and pious. She had a great love for the teachings of Rasulullah SAW Saidatuna Saudah binti E Zamaa’a knew that whole of Makkan Arab society call him ‘the trustworthy and the truthful’. Once Saudah RA bint E Zamaa’a had the opportunity of listening to the sermon of Rasulullah SAW. It had such a great impact on her that she immediately embraced Islam. But this change created much trouble, because Sukran, her husband was still a non-believer. Practiced Islam in secret and did not tell her husband about her change in faith. However, she Saidatuna Saudah binti E Zamaa’a never lost an opportunity to convince Sukran of the truth of Islam. Little by little Sukran started showing sympathy towards Islam and eventually became a Muslim. It was a great success for Saidatuna Saudah binti E Zamaa’a . On learning about the conversion of Sukran and Saidatuna Saudah RA binti E Zamaa’a the whole of Quraish tribe turned against them. They started an unending process of torture and social ex-communication against the couple. In the streets, they received indecent remarks, stones used o be thrown at them and their home was also assaulted by unruly elements. Once while the husband was reciting holy verses from Quran, an arrow came suddenly from outside and pierced the pages of the Holy Book. Since both were too weak to resist the mob outside their house, they felt miserably the pangs of humiliation and helplessness. Both of them presented themselves before Rasulullah SAW and told about the event. Rasulullah SAW consoled them and asked them to be patient. But the hostility from Makkan kept on increasing until it reached to such a peak that it was no longer bearable for the Muslims. Thus Rasulullah SAW ordered the Muslim men and women to migrate. The migration was ordered with a view to conserve the physical strength of the Muslims. As a result, eleven men and four women migrated to Abyssinia in self-defense. The Muslims and Makkan could no longer live together. Sukran and Saidatuna Saudah RA binti E Zamaa’a were also among the emigrants. During their stay at Abyssinia, Sukran fell ill and died so Saidatuna Saudah RA binti E Zamaa’a became a widow. After some time, Makkan nobles, i.e. Saidina Hamzah RA ibn Abi Talib and Saidina Umar Faruq RA also embraced Islam. These new converts had a great influence on the Makkan. Hostility against Islam decreased to a considerable extent and a few of the Muslim emigrants in Abyssinia returned to Makkah. Saidatuna Saudah RA binti E Zamaa’a also returned and took up residence at her ancestral place in the company of her father Zama ‘a. Saidatuna Saudah RA binti E Zamaa’a spent only two years as a widow and on the 10th year of the announcement of the Prophethood, she married Rasulullah SAW. By this time, three years had passed since the death of Saidatuna Khadijah RA binti Khuwailid. Historians are of the consensus that at the time of her second marriage, Saidatuna Saudah RA binti E Zamaa’a was not less than fifty years old. During her stay at Abyssinia, Saidatuna Saudah RA binti E Zamaa’a had got the indication that; her marriage was going to take place with Rasulullah SAW. Saidatuna Saudah RA binti E Zamaa’a had dream about it. Saidatuna Saudah RA binti E Zamaa’a described what she saw in the dream, that Rasulullah SAW visited her and placed his foot on her neck. Then Saudah RA bint E Zamaa’a further dreams that she is lying on a bed resting with a pillow and the moon had landed down from the sky to her lap. Saudah RA bint E Zamaa’a told these dreams to her husband Sukran, who explained these dreams in the following words, “I will die soon and after my death you will marry the Holy Prophet”. The holy couple of Saidatuna Saudah RA binti E Zamaa’a Rasulullah SAW stayed for three years in Makkah after marriage, and then the great event of migration to Madinah came. As a result of this migration, Medina became the permanent abode of Rasulullah SAW for the rest of his life. At Madinah, Saidatuna Saudah RA binti E Zamaa’a, and Rasulullah SAW were guests at the house of Abu Ayub Ansari RA, and he remained host of the Holy Prophet till the Masjid-e-Nabi (The mosque built by Rasulullah SAW was constructed. When the mosque was ready the holy couple shifted to a closet, specially constructed for them. Money, physical beauty and youth are strong motivations for marrying a woman. Saidatuna Saudah RA binti E Zamaa’a did not have any of these qualities except that she was a fifty years old pious woman and, furthermore, had undergone great mental and physical tortures for remaining steadfast in Islam at the hands of hostile society. These sacrifices were duly appreciated by Rasulullah SAW. Apart from this, Saidatuna Saudah RA binti E Zamaa’a was decent, well behaved, pleasant, kind and a virtuous lady. 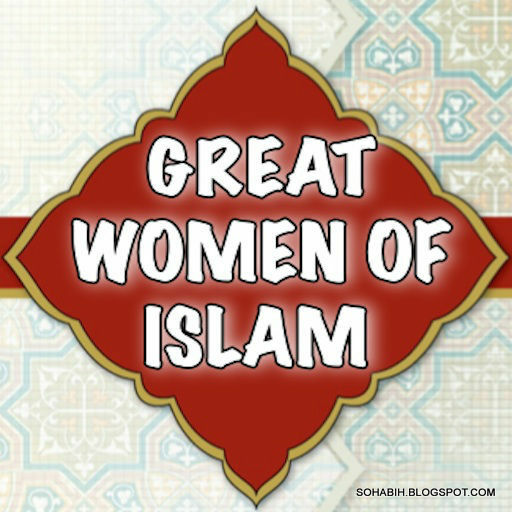 These qualities had raised her social status above the common lot of women of Quraish. Saidatuna Saudah RA binti E Zamaa’a had a small son and a very old father to look after and she was facing a hard life alone. These conditions made Rasulullah SAW wish for this marriage and the moment, he received the suggestion through Khaula, he agreed to it. History traces, that there is not much chronological difference in the dates of (Word used for showing respect for a pious person) Saidatuna Saudah RA binti E Zamaa’a and Saidatuna Aisyah’s marriages, however, Saidatuna Aisyah’s marriage followed Saidatuna Saudah RA binti E Zamaa’a marriage. These two wives of Rasulullah SAW were never jealous of each other. Saidatuna Saudah RA binti E Zamaa’a was too old and Saidatuna Aisyah RA was too young to have these feelings. Both lived happily together with love, cooperation and understanding. Since Saidatuna Aisyah RA was quite young in age, she knew very little about the household tasks and problems, and Saidatuna Saudah RA binti E Zamaa’a used to guide her in these matters. 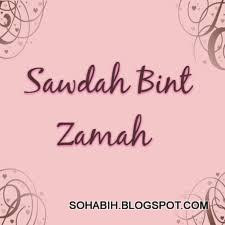 Saidatuna Saudah RA binti E Zamaa’a was the tallest among Rasulullah SAW’s wives. Saidatuna Saudah RA binti E Zamaa’a also had a heavy frame. Saidatuna Aisyah RA is quoted to have said. “Whoever saw Saidatuna Saudah RA binti E Zamaa’a even once would recognize her ever after”. Perhaps it was due to her height and heavy build. There is a very interesting incident connected to Saidatuna Saudah RA binti E Zamaa’a height. One evening Saidatuna Saudah RA binti E Zamaa’a went outside the city dwellings to relieve herself. Naturally in these days, the modern sewerage facilities were not available, and people went outside the villages to relieve themselves. When Saidatuna Saudah RA binti E Zamaa’a was coming back, she was seen by Saidina Umar ibn Khattab RA who was to become the second Caliph. He was quite critical about the free movement of the wives of Rasulullah SAW. On seeing her, he said loudly, “Saidatuna Saudah RA binti E Zamaa’a, I have seen you”. Saidatuna Saudah RA binti E Zamaa’a was not happy about this and at home she complained to Rasulullah SAW about Saidina Umar ibn Al Khattab’s critical remark. 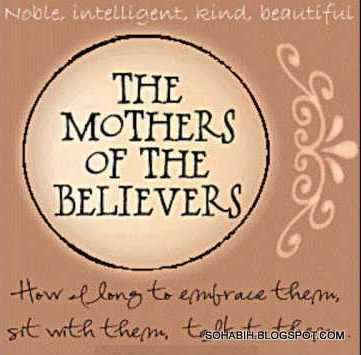 The Obedience Mother of the believers. “I performed Haj and Umrah (Visit of Kaabah with certain conditions throughout the year except Haj days is called Umrah.). Now I am sitting in my home alone isolated by the orders of Allah”. This act of obedience on part of Saidatuna Saudah binti E Zamaa’a RA shows, how truly she followed the orders of Rasulullah SAW even after his death. On Hajj at-ul-Wida (The last Haj performed by the Holy Prophet) Rasulullah SAW cared much about Saidatuna Saudah binti E Zamaa’a RA, and since she could not walk quickly because of her heavy physique Rasulullah SAW allowed her to leave Muzdalifah (To visit and stay here forms a part of the Haj) early so that she was not troubled by the rush of the people. Saidatuna Aisyah RA praised Saidatuna Saudah binti E Zamaa’a RA in these words, “Saudah was a bit short tempered. Apart from this, there is none else to whom I would have praised, respected and envied more than her”. “I have never seen a woman so devoid of jealousy as Saidatuna Saudah binti E Zamaa’a RA”. No doubt, Saidatuna Saudah binti E Zamaa’a RA occasionally lost temper due to trivial matters; nevertheless she was endowed by God with good sense of humor. Many a times, she moved the Holy Prophet to laugh by her pleasant remarks and jokes. For instance, once Saidatuna Saudah binti E Zamaa’a RA said to the Holy Prophet. “Last night I offered my prayers as Muqtadi (The one who follows in prayer) and you remained so long in Ruku (The action of bending on knees while offering prayers), that I feared lest my nose started bleeding. And I kept holding my nose clasped for the intervening period”. On this simple remark, Rasulullah SAW could not help smiling. After the demised of, Rasulullah SAW, Saidatuna Saudah binti E Zamaa’a RA received a gift of money, which she spent on charity. Muawiyah I, the first caliph of the Umayyad dynasty, bought her house in Medina for 180,000 dirhams. Saidatuna Saudah binti E Zamaa’a RA .She and Saidatuna Aisyah RA always remained very close. Saidatuna Saudah binti E Zamaa’a RA died in Madinah in September or October 674. 128. And if a woman fears cruelty or desertion on her husband's part, there is no sin on them both if they make terms of peace between themselves; and making peace is better. And human souls are swayed by greed. But if you do good and have Taqwa, verily, Allah is ever Well-Acquainted with what you do. Another story revealed about Saidatuna Saudah binti E Zamaa’a RA issue of intended separation - as we find in Tafsir ibn Kathir. Whenever Rasulullah SAW wanted to go on a journey, he would draw lots as to which of his wives would accompany him. Rasulullah SAW would take her whose name came out. Rasulullah SAW used to fix for each of them a day and a night. But Saidatuna Saudah binti E Zamaa’a RA gave up her (turn) day and night to Saidatuna Aisyah RA, the wife of Rasulullah SAW in order to seek the pleasure of Allah's Apostle (by that action). Saidatuna Aisyah RA reported: Never did I find any woman more loving to me than Saidatuna Saudah binti E Zamaa’a RA. I wished I could be exactly like her who was passionate. As she became old, she had made over her day (which she had to spend) with Rasulullah SAW to Saidatuna Aisyah RA. She said: I have made over my day with you to Aisyah. 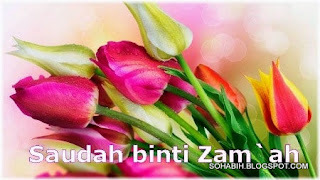 So Rasulullah SAW allotted two days to Saidatuna Aisyah RA, her own day (when it was her turn) and that of Saidatuna Saudah binti E Zamaa’a RA. (Sahih Muslim, Book 008, Number 3451). The Fact – None of wives of Rasulullah SAW was divorced. So we want to know if there is another side of the story to this incidence or if Rasulullah SAW actually divorced his wife because she was no longer attractive to him. Rasulullah SAW never divorced any wife. That is false. There is no evidence to say that Rasulullah SAW wanted to divorce her because of age... She is one of the mothers of the believers. There is some information about Rasulullah SAW wanting to divorce Saidatuna Saudah binti E Zamaa’a RA. However, the reason for this is not that she was old or behaved slowly. The reason why Saidatuna Saudah binti E Zamaa’a RA gave up her day to Rasulullah SAW was because of her old age she thought that Rasulullah SAW would not be interested in her anymore and that he would divorce her. Therefore, in order to remain the wife of Rasulullah SAW and to please him she gave up her day and night to Saidatuna Aisyah RA. First thing to note is that there is no evidence that Rasulullah SAW ever intended to divorce Saidatuna Saudah binti E Zamaa’a RA. In As-Siratu'n-Nabawiya by Ibn Hisham, one of the most important sources of the history of Islam, there are some narrations apart from those above. According to this book, sometime after the marriage, Saidatuna Saudah binti E Zamaa’a RA caused some delay in Rasulullah SAW’s relations with his daughters. Again in the same source, the event in which Rasulullah SAW decides to divorce Saidatuna Saudah binti E Zamaa’a RA. Saidatuna Saudah binti E Zamaa’a RA is also mentioned. It is narrated that when Saidatuna Saudah binti E Zamaa’a RA sees Suhayl b. Amr, the brother of her deceased husband, among the prisoners of Badr War with his hands tied, she said: “O Aba Yazid! How did you surrender? Could you not die with your honor?” When Rasulullah SAW heard this, he said: “Saudah! 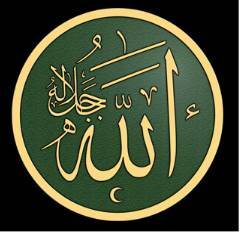 Do you oppose Allah and His Rasul?” Saidatuna Saudah binti E Zamaa’a RA replied: “O Messenger of Allah! I swear to Allah who has sent you as the rightful Rasul that I could not help saying this when I saw Abu Yazid like that.” Thereupon, Rasulullah SAW intended to divorce Saidatuna Saudah binti E Zamaa’a RA, but she pleaded: “O Rasulullah, do not divorce me! Keep me in your wedlock; show me mercy! Do not let me drift into oblivion!” Then Rasulullah SAW accepted her wish. Islamic sources are of the same opinion that after this event, their marriage continued without any problem. In short, Saidatuna Saudah binti E Zamaa’a RA is a lady who alleviated the sadness of Rasulullah SAW upon Saidatuna Khadijah's death, who did the housework, who fulfilled the duty of motherhood for six children and most importantly who earned the title 'the mother of the believers'. Whenever Rasulullah SAW intended to go on a journey, he used to draw lots among his wives and would take with him the one on whom the lot fell. He also used to fix for every one of his wives a day and a night, but Saidatuna Saudah binti E Zamaa’a RA gave her day and night to Saidatuna Aisyah RA, the wife of Rasulullah SAW intending thereby to please Allah's Rasul. Saidatuna Aisyah RA reported: Never did I find any woman more loving to me Saidatuna Saudah binti E Zamaa’a RA. I wished I could be exactly like her who was passionate. As she became old, Saidatuna Saudah RA binti E Zamaa’a had made over her day (which she had to spend) with Rasulullah SAW to Saidatuna Aisyah RA. She said: I have made over my day with you to Aisyah. Rasulullah SAW allotted two days to 'Aisyah, her own day (when it was her turn) and that of Saidatuna Saudah binti E Zamaa’a RA. These women of such high faith would do anything to keep their husbands happy. Especially if your husband happens to be the glorious Rasulullah SAW. Some of the wives of Rasulullah SAW asked him, "Who amongst us will be the first to follow you (i.e. die after you)?" Rasulullah SAW said, "Whoever has the longest hand." So they started measuring their hands with a stick and Saidatuna Saudah binti E Zamaa’a RA hand turned out to be the longest. (When Zainab bint Jahsh RA died first of all in the caliphate of 'Umar), we came to know that the long hand was a symbol of practicing charity, so she was the first to follow Rasulullah SAW and she used to love to practice charity. (Saidatuna Saudah binti E Zamaa’a RA died later in the caliphate of Muawiyah). Imagine what the situation would have come to if Rasulullah SAW) had not married Saidatuna Saudah binti E Zamaa’a RA. Had she been safe from the torture and persecution of her relatives who were still disbelievers? Saidatuna Saudah binti E Zamaa’a RA belonged to a disbelieving family; her father was an aged disbeliever; and so was her brother. Her husband died and she became a widow having a little girl without a supporter or a provider. No doubt, her marriage to Rasulullah SAW was mercy and protection for her from the torture of her family. Perhaps if Saidatuna Saudah binti E Zamaa’a RA had stayed, they would have killed her or tried her in her belief. Rasulullah SAW sympathized with this faithful widow immigrant. Rasulullah SAW married her to save Saidatuna Saudah binti E Zamaa’a RA from the oppression of her family. Abu Dawud reported this hadiths (from ‘Aisyah’): ‘Rasulullah SAW never used to prefer any of us over others in sharing his time (i.e., he was fair in dividing his nights among his wives, and each one of them had her allotted night). These reports agree that she feared divorce and so gave her day to Saidatuna Aisyah RA. It is clear that Rasulullah SAW gave all his wives their due time, and Saidatuna Saudah binti E Zamaa’a RA decided to give hers up. From all indications, the agreement was amicable to both parties. No one complained. Not one of his wives said a bad word about him, during his life or after his death. How many men with just one wife can confidently say that?